Every business owner knows what it’s like to have past due accounts. Over the years, I have witnessed scores of business owners who are reluctant to collect money from clients for fear of losing the customer. Nothing can be further from the truth. Still it remains that many customers play this hand to the point where it frustrates you. Are some of your clients holding out. Do they use the upper hand because they know you depend on them for future business? This is all too common. Break the cycle and get paid. Your approach is vital and determines the outcome of the game being played. The fact is, you can set the tone of the business relationship. How do you approach clients who don’t pay? There are ways around their procrastination that will set a sense of urgency. When people owe you money, it can be a daunting task to collect those funds and it costs more time and money out of your pocket chasing them down. This can take the fun out of owning your own company. Some customer’s are late every month while others take months to pay. What can you do the prevent people from continuing down the road of past due? There are a number of techniques you can use to get paid faster. How do you approach the customer who pays late every month? Send out another invoice, call the client or allow them to build up a balance hoping they will eventually pay. All of these efforts are slow and not very effective. Learn to take a more pro-active approach so you can break the bad habits of poor paying customers. 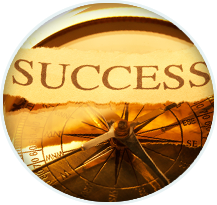 Your approach will directly affect your bottom line, increase revenue and make running a business more enjoyable. Since 1989, CJM Billing Solutions, Inc. has produced millions of dollars for fortune 500 companies as well as small businesses. Enjoy greater revenue through efficiency and proven methods. Christopher Mangan is the author of Top 10 Billing Secrets and has been shown to increase earnings as much as 27% annually for fortune 500 companies and small business alike. Most business owners did not know such great changes could be made. They spent years doing the same thing and did not truly realize their loss. Don’t you think it’s time to enjoy greater success? Customers are the only reason you succeed or fail in business. This may be an obvious statement; however, there are a great many businesses who don’t view billing as a way to satisfy their clients. When you bill them properly the money comes in more consistently. Some customers exploit weakness in your system. It’s viewed as unprofessional and poor customer service. People need only a little reason to avoid payment. Give them a way out and they will take it every time. Some companies end up with a line of past due and non-paying clients. Consistency is one of the most important factors in keeping the revenue flowing properly. A policy and procedure that eliminates gaps in your billing will keep revenue flowing and is viewed as great customer service. Too many businesses are failing in this area and have to chase customers every month blaming the client and not themselves. 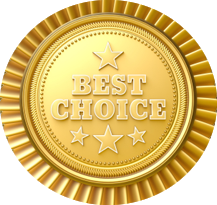 The best businesses find the best methods to bill and enjoy the greatest success. Consumer habits have been studied for years and it has been proven we can condition others in many ways. You must create a sense of urgency in your client while maintaining a great relationship. Customers respond differently to different tactics. CJM Billing Solutions, Inc. provides you with ways to cause the late paying client to respond with a positive outcome. Every company struggles with some degree of customers who pay late. Many businesses are choosing professional consultants who are experienced in collections, billing and accounts receivables. 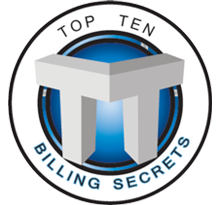 The Top 10 Billing Secrets is a publication that can help transform businesses. Break the pattern and get paid faster.